We all have our ways on how we want to decorate the Christmas Tree. 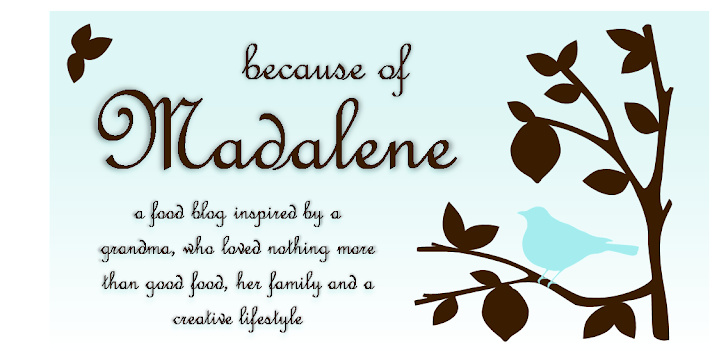 Madalene liked her tree prim and proper. 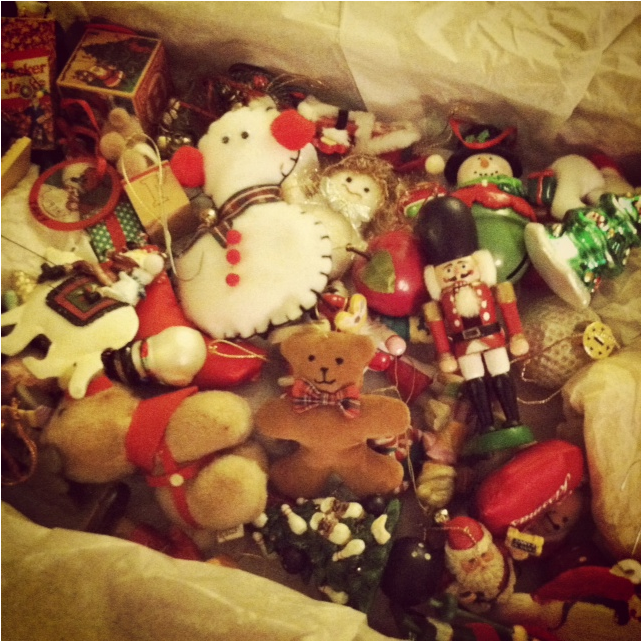 But my family likes more of a smorgasbord themed tree that consists of homemade ornaments, glass icicles, balls and knickknacks that we have collected over the last 60 years. I have a few favorites that I always have to put on a Frasier Fur branch every year. 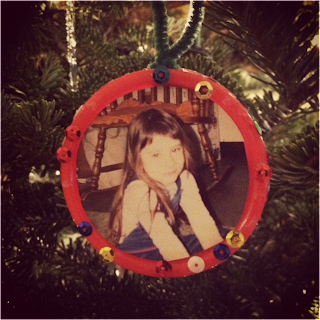 One includes an ornament that I made in preschool with glued on sequins and a pipe cleaner hanger. Pretty fancy, huh? My favorite part, of course, is the ridiculous picture the teacher took of me and my funky bangs. That Holiday season I got a little impatient when my mother said she couldn't trim my bangs right away. 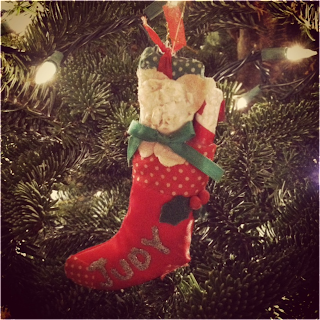 I even have to put up my mom's ornament that my dog, Nutmeg, chewed on when she was a puppy. 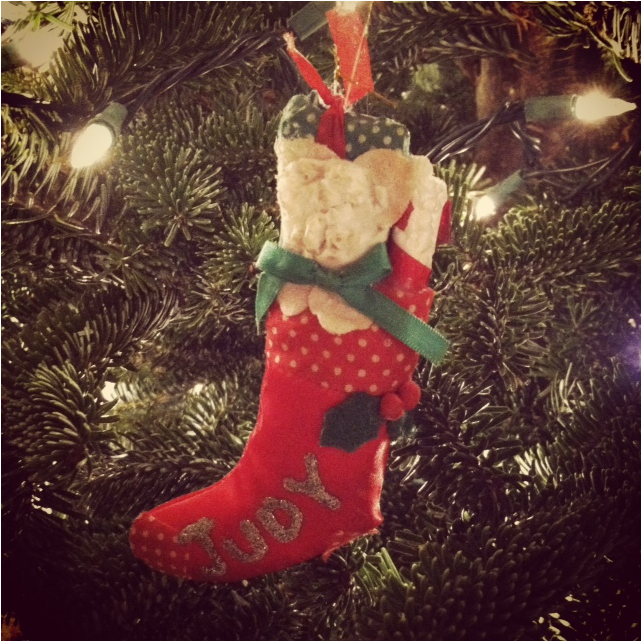 She is no longer with us, so this mangled ornament reminds me of how she came into our lives Christmas Eve in 1990. The sweet Golden was a present from Santa and we found her under the tree in a box with a big red bow around her neck. She was probably the best Christmas gift I've ever received and one of the best memories I have of the Holiday season. Do you find decorating the tree sentimental? Where it brings back a bunch of old memories and fun family stories? Funny how such a small object can rumble up the past.